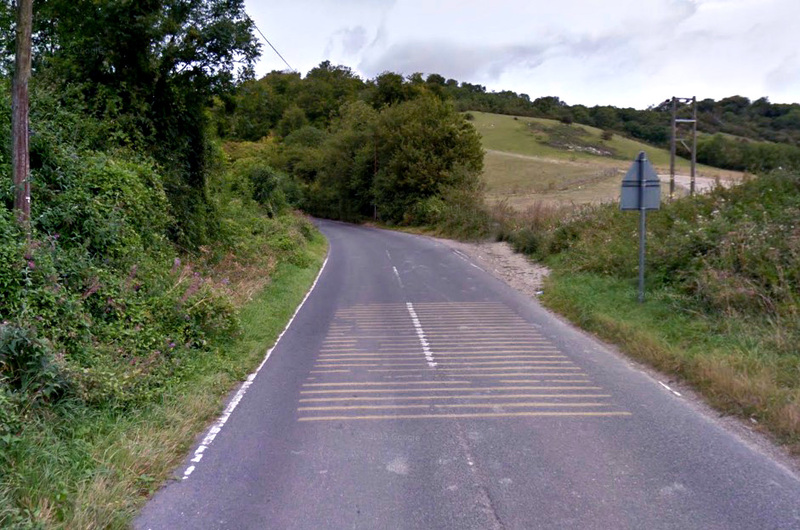 I first climbed Chalkpit Lane in September 2014. As you approach the main climb there is a field on your right with a gradient so steep that I’m amazed that cows don’t just fall over and roll down it. It gives you an inkling of what’s to come. 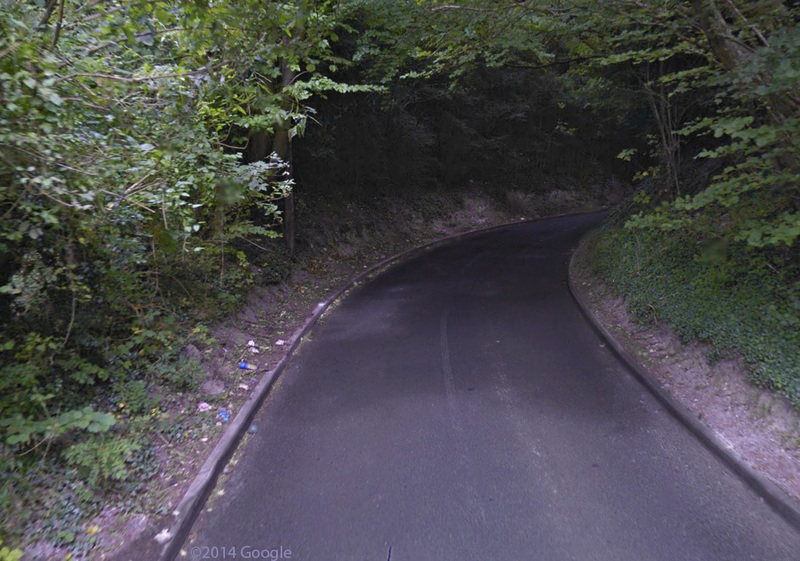 The climb starts about ¼mile before you pass under the M25. By the time you reach the view of the field shown above, the incline is about 7-8%, but that’s nothing – worse is lurking around every bend! It’s up to 10 or 11% by the time you see the 20% sign and the beginning of the hairpin. As I rode into the steep right-hand bend I assumed that it was like most other hairpins and would ease up once it got round the bend. But it’s not like a normal hairpin that quickly switches back on itself. It’s much more of a gradual bend that never seems to end. And all the time it’s at or near 20%. Finally the road straightens out, but it’s not good news for there is little respite from the gradient. The road is still steep at about 16%. “Maybe it eases just around that bend in the distance” you think to yourself. Thankfully it does, but it only pegs back to about 11%, gradually easing as you reach the T-junction at the top, which is very reminiscent of the top of York’s Hill. But, unlike York’s Hill, my lungs didn’t feel like they were bursting out of my chest at the end! 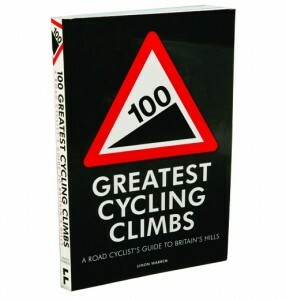 Simon Warren, in his book rates this climb as 7/10, which puts in on a par with Toy’s Hill. I would broadly agree with that, but Chalkpit Lane just wins out as the tougher of the two. 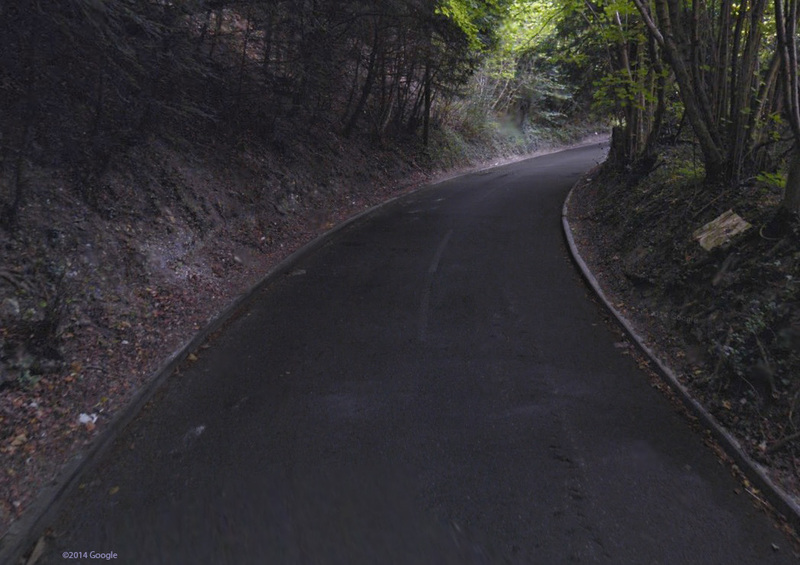 The stats for this climb are very similar to Ditchling Beacon, but Chalkpit is a much tougher climb. 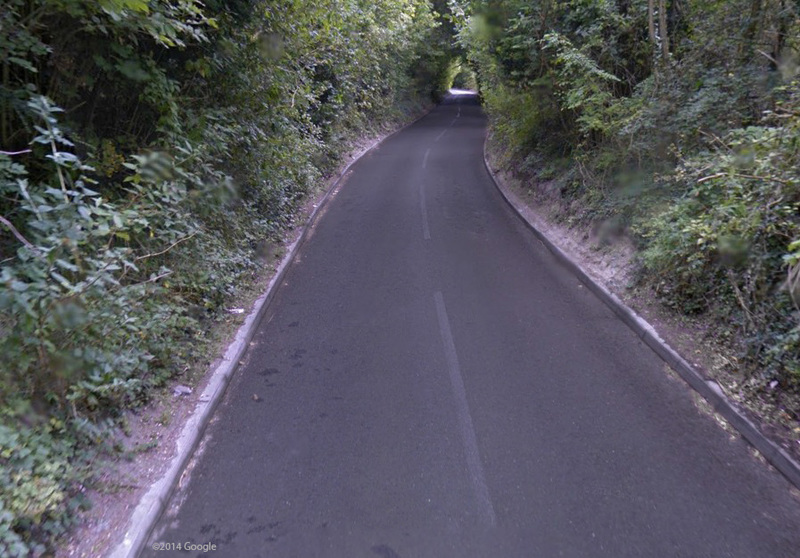 I did this climb for the first time today having somehow managed to miss it despite having ridden in this area for years. It’s certainly a nice one that I’ll be taking in more in future. I’d rate it higher than Toys (south side) purely because the road surface is infinitely better. Until you get past the village, the surface of Toys is pretty awful, but Chalkpit is smooth from top to bottom. 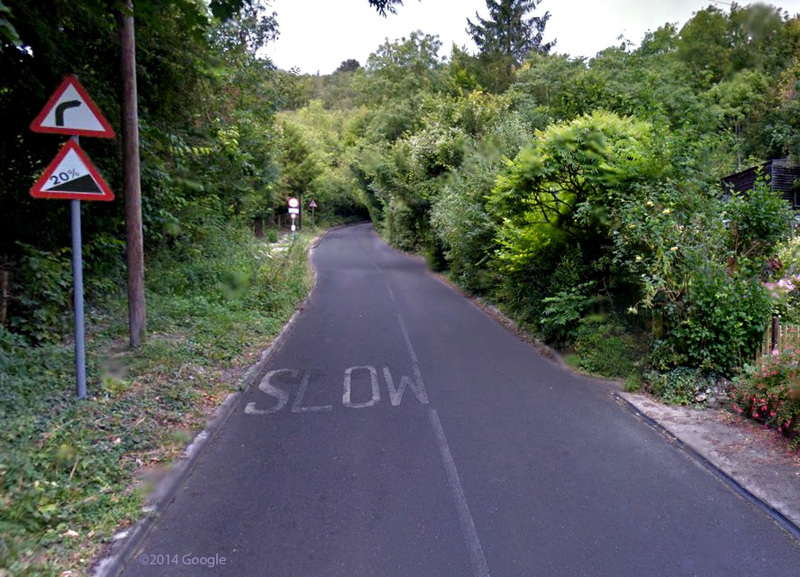 This marks it out as different to other steep climbs in the area such as Yorks Hill and Whites Lane too. Thanks for your comments Adi. I agree. The surface of Toys is very bad at the bottom – dangerous on the descent and very distracting on the climb. I’ll have to have another go at both these hills soon!